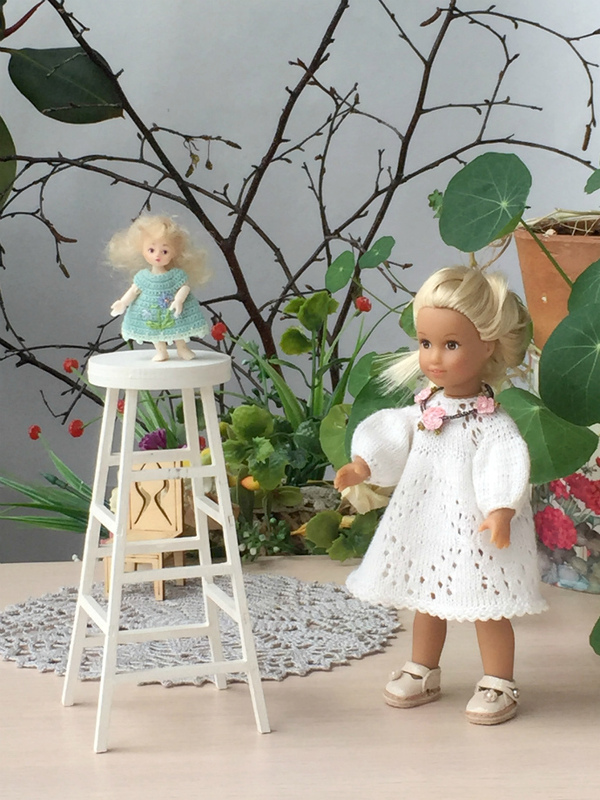 Last year well-known Korean company BlueFairy announced the release of the new nano-jointed dolls growth of only 4.8 centimeters ( 2 inches). The advertising company was excellent. 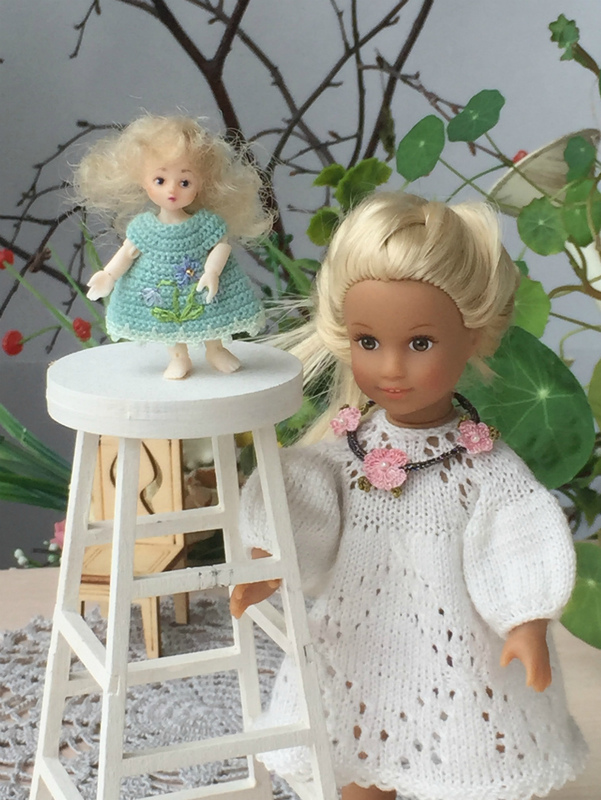 Fans of miniature dolls could not stay indifferent to the sight of this miracle. 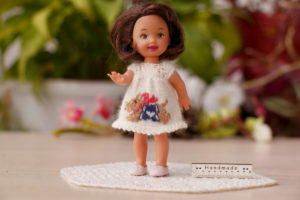 Dolls that distinguishes this company from many others? 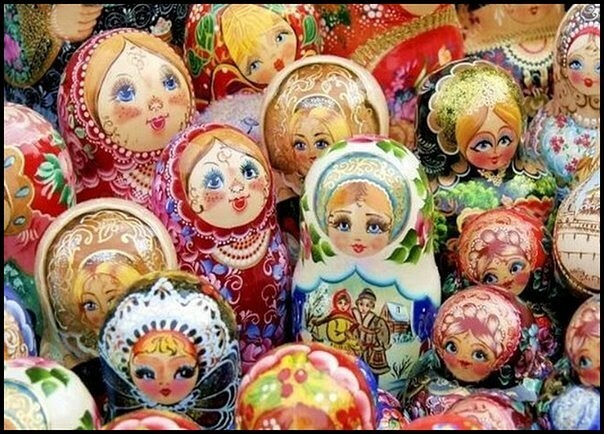 Very cute faces and Soft here, and it can serve as your company’s branding. 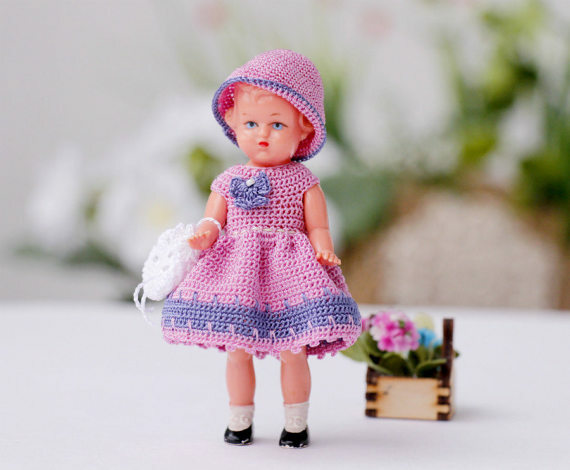 I chose for my collection the little doll. 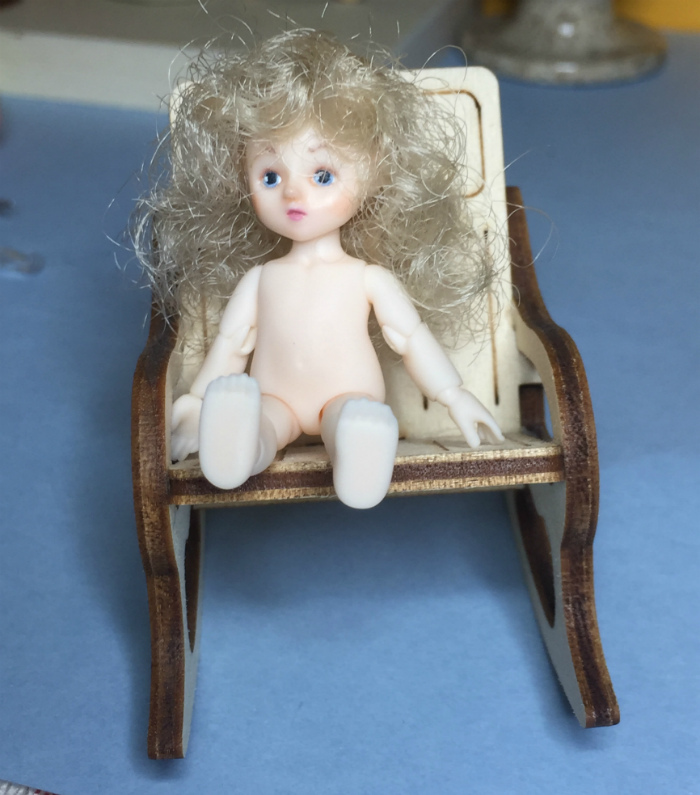 Despite its size quite small, the doll used all hinges like a big doll. It’s hard to imagine what is possible. When ordering you have the opportunity to choose make-up. I chose without this option in the hope that I have an artist who will draw me a face. I was not wrong, and after only a month and a half, my baby was already sitting on my desktop. She arrived in a branded box and at first, I was even afraid to touch it. 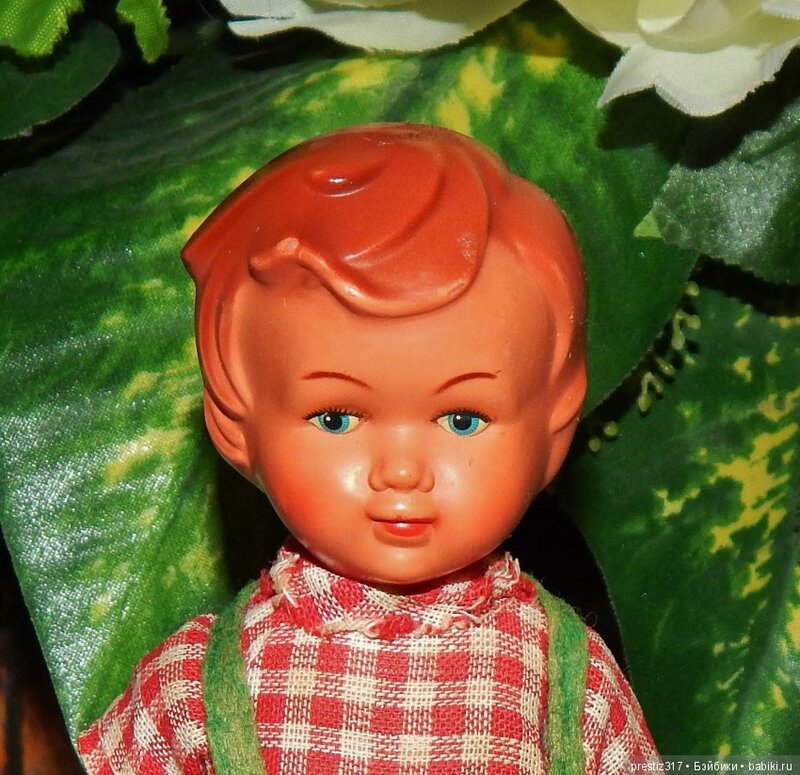 The first series of dolls was released with wings and a small magnet on the back of the doll. 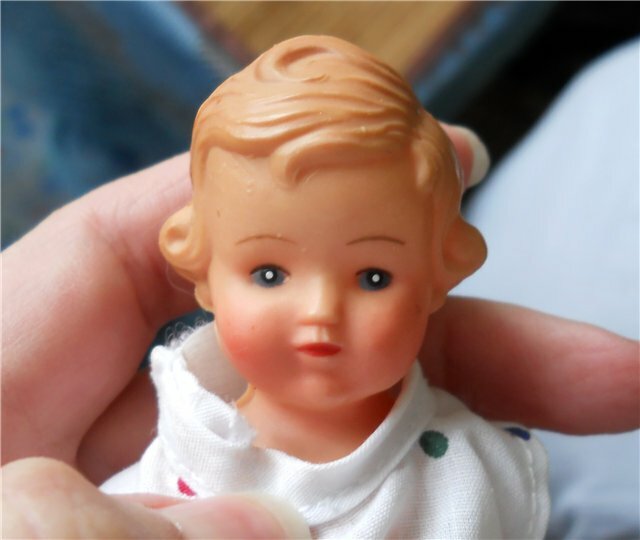 It really angel), Then my little doll went to the artist Marina. The wait lasted a long time, and that’s understandable. Draw eyes and lips on a tiny face proved to be very difficult. And I didn’t rush the artist. And finally, a baby with an angel’s face I have. 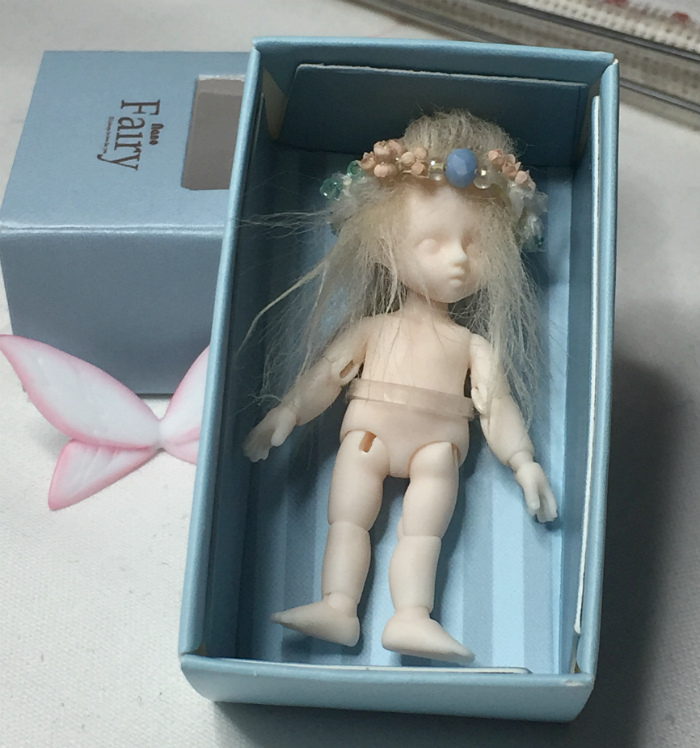 But then a new question arose))) the wig where the doll came from Korea was not in very good condition( I at your own risk tried to make a new one. Turned out to be quite suitable with blond curls. The next stage outfits!!! Oh, my God! Dresses that I knit for the baby of 5 cm, were large. 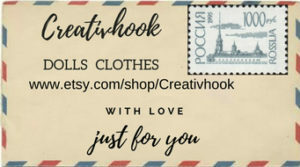 Even the smallest dress!!! 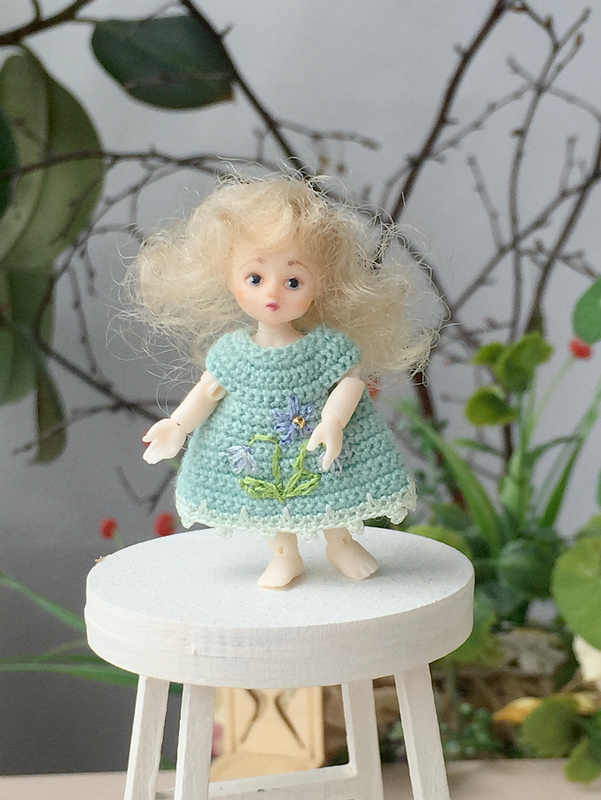 Now I’m going to do a whole new line of nano doll! 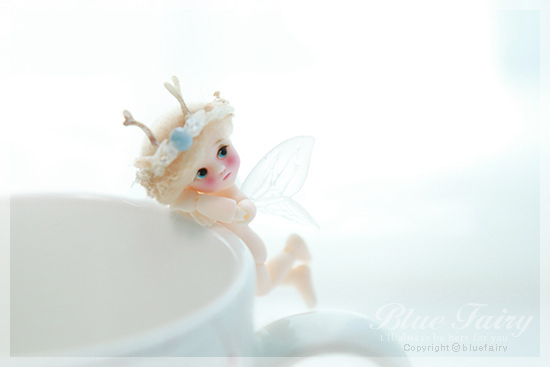 Here’s what I found about the company BlueFairy on the Internet. 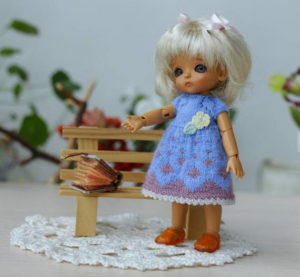 Ball-jointed miniature dolls by “Bluefairy” making for many years, with two different lines — mini size (43cm) Baby Fairy lines and tiny size (14cm) Pocket Fairy line. 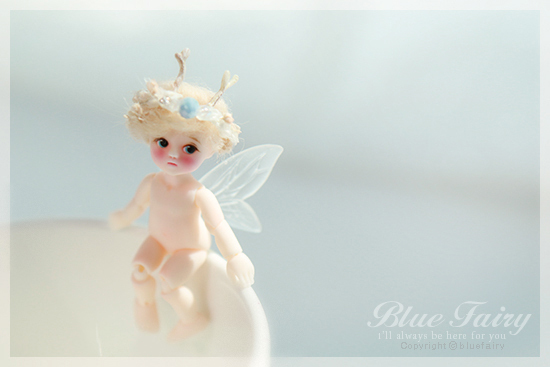 In 2009 Bluefairy closed the store for several months, and again under the same ownership and management as a minor World. 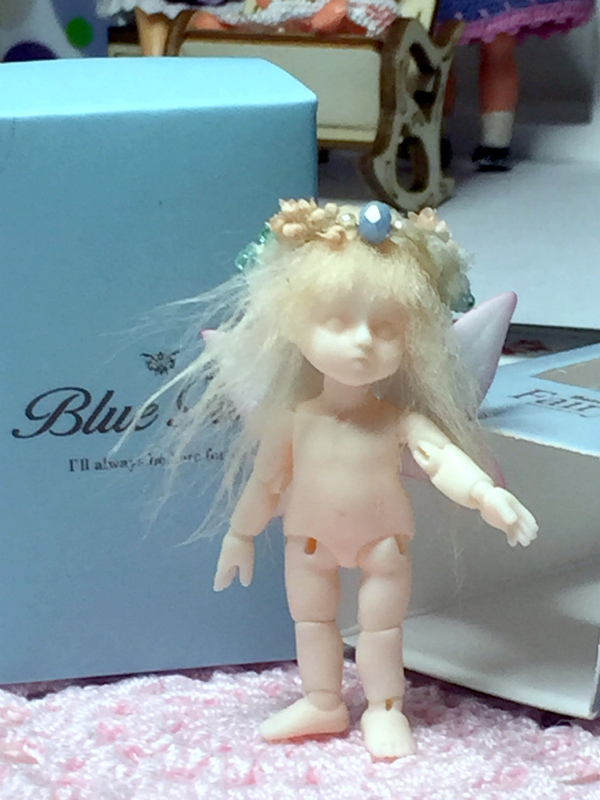 Minoru World had previously been a dealer of Bluefairy dolls, as well as selling their own limited edition versions of Bluefairy dolls not available on the regular Bluefairy webshop. 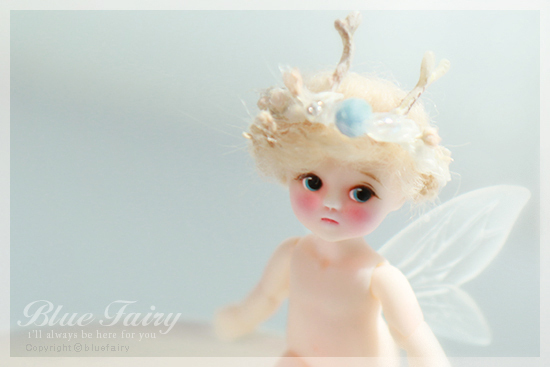 In October 2012, Bluefairy announced that Minoru World will close and be merged into the main site Bluefairy, All the dolls, previously only available on the website of Minoru World now available Bluefairy. 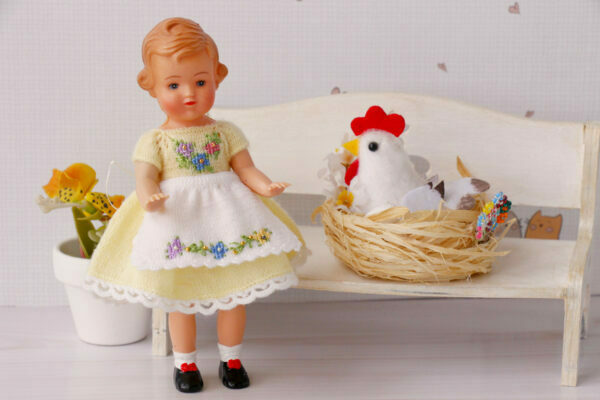 In addition to dolls, they offer a lot of additional materials, wigs and clothing, shoes and spare parts.